In the second part of the beginner's guide to Angular tutorial series, you learnt what services are in Angular 4 and how to write Angular services and use them in an Angular component. In this part of the tutorial series, you'll learn how to handle routing in Angular 4. You'll start by cloning the source code from the first part of the tutorial series. Once you have the source code, navigate to the project directory and install the required dependencies. You should have the application running on http://localhost:4200/. When a user enters a web application or website, routing is their means of navigating throughout the application. To change from one view to another, the user clicks on the available links on a page. 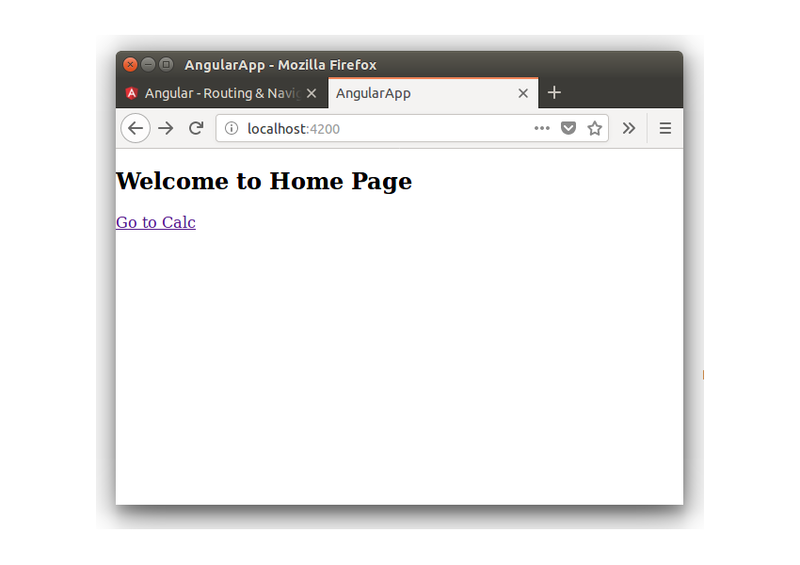 Angular provides a Router to make it easier to define routes for the web applications and to navigate from one view to another view in the application. To implement routing in the web application, you'll be making use of the Angular Routing module. Create a file called app.routing.ts inside the src/app folder. To get started with implementing routing, you need to import the RouterModule and Routes from @angular/router. You'll also need the ModuleWithProviders module for implementing routing. Create and export a variable called AppRoutes in the app.routing.ts, which would be a collection of all routes inside the Angular application. There are two ways to create the routing module: RouterModule.forRoot and RouterModule.forChild. RouterModule.forRoot is for creating routes for the entire application, and RouterModule.forChild is for creating routes for lazy loaded modules. In this tutorial, you'll be using RouterModule.forRoot to create routes for the root application. Create the routing module using RouterModule.forRoot inside the app.routing.ts file. Add a route inside the AppRoutes list to show our CalcComponent. As seen in the code, the route which has been added is /calc, which would render the CalcComponent. Import the ROUTING constant inside the app.module.ts file. Add the ROUTING to the imports section. Save the above changes and restart the Angular application using ng serve. 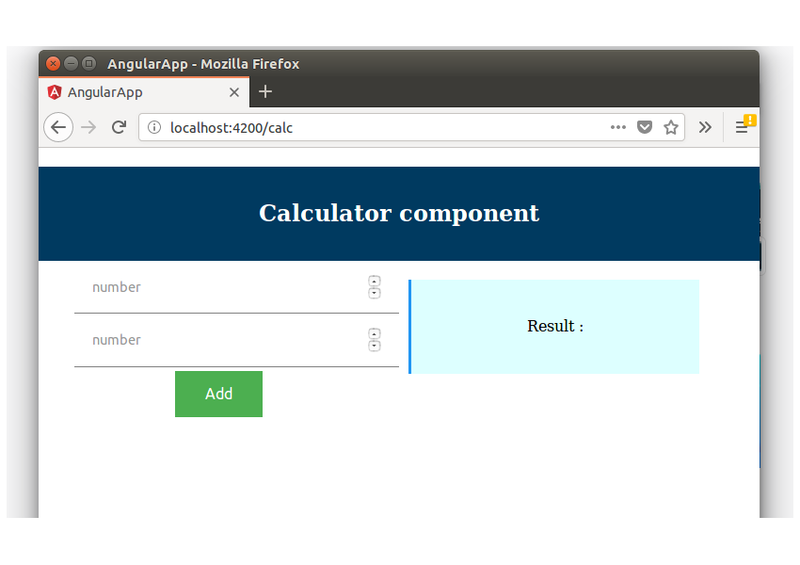 Point your browser to http://localhost:4200/calc and you will have the CalcComponent displayed. With the above created route, you'll try to implement navigation. Let's start by creating a main component for our application called HomeComponent. As seen in the above code, you have used routerLink for setting up the link navigation. routerLink is imported from the RouterModule. Add the HomeComponent to the NgModule in the app.module.ts file. Since you'll be using Angular routing, you need to display the place in our application where the router would display the views. As you have bootstrapped the AppComponent on run time, add the following code to the app.component.html file. Router outlet tells the Angular router where to display the views. Save the above changes and restart the web application. Point your browser to http://localhost:4200/ and you will have the HomeComponent displayed by default. Click on the link in the home component and you will be navigated to the calculator component. Now let's add a route to handle undefined routing requests. Whenever the user navigates to a non-existent route, you'll show a message that the route is not found. Save the above changes and restart the server. Point your browser to http://localhost:4200/abc and you will see the not found exception message. In this tutorial, you learnt the basics of how to handle routing in Angular. You learnt how to define a route and navigate through an Angular application. You learnt how to handle non-existent routes by defining a wild card route. You learnt how to use routerLink to link to another route. How was your experience learning Angular Routing? Do let us know your thoughts and suggestions in the comment section below.